Darren is shown here winning his first points with a Best Of Breed win from the Bred By Exhibator class. Darren started his show career at 10 months old and finished his championship at16months old. 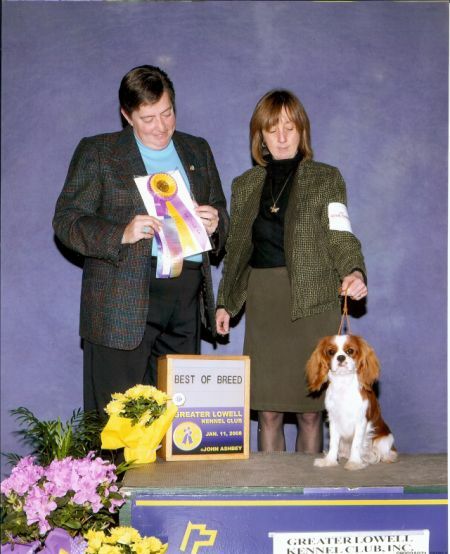 He is a wonderful combination of his mother Ch Karlee's Into The Mystic(Lucy) and his father Ch Woodmere's Lord Byron. We are looking foward to showing him in Canada this fall.